Optimizepress Review | Is OptimizePress Worth The Money? Optimize Press, a WordPress theme is a professional marketing tool, a powerful software program created by the brilliant Internet Marketer, James Dyson. James created OptimizePress for those business owners who wanted everything done in an instant, a package deal. He worked with WordPress to create a theme that is very user friendly where they have everything at their fingertips. With skyrocketing prices, finding a low cost marketing program for a business can be expensive and costs can run from 1% to over 30% of sales, so having something that creates a squeeze page with a professional look is an absolute necessity. 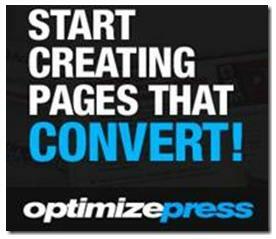 Optimize Press allows the user to build “optimized” content on their WordPress website. This WordPress theme gives you access to dozens of templates. These templates include a variety of pages such as; sales pages, video optimized pages, and membership site pages, these are just a few examples of pages that can be created. It can be used by anyone at any skill level, which is what makes it so attractive. You can pick from a number of layouts, each landing page offers several different choices. There are 67 different layouts to choose from. 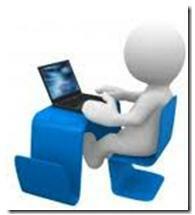 Some types of landing pages include, squeeze pages, sales pages, and the capability to blog. Squeeze Pages that allow users to build email list that can be formatted with video, audio, plain text or any combination. If you already have a blog theme, you won't be able to use Optimizepress on top of your current theme. If you are looking for something similar that works as a plugin (and thus with any other theme) check out the MaxInbound plugin – which I also use on some of my sites. Using Optimize Press means more, more money in your pocket and more customers buying what you are working so hard to sell. You can use it on as many sites as you want and you don't have to pay any extra. OptimizePress does so many things and the great thing about it is that it comes with just a one time price, which is lower than any type of marketing program out there, that includes all of these special features. They offer a Special One Time Payment ~ Price: (Try WP Sales Engine for 30 days – Risk Free) $97 Preview | Download with a 30 Day 100% Money Back Guarantee!